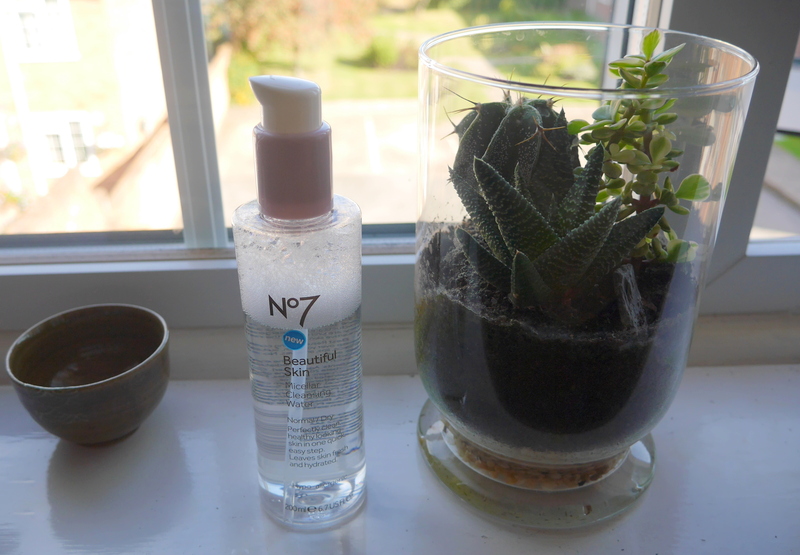 My Nivea Micellar Water ran out so I went on the hunt for something new and saw that No7 had a new offering, a micellar water specially formulated for normal to dry skin – they also have one for normal to oily skin if thats more suited to you. I love my other No7 products so I snapped it up. I love the pump design, it means you can get just the right amount of product instead of drowning your cotton pad. It did remove all my make-up although not as efficiently as the Nivea one, I still had some stubborn traces of my liquid liner left but it did leave my skin feeling hydrated and soft. It does have a scent but it’s not too over powering and it doesn’t sting your eyes which some scented products can. All in all I wouldn’t say this is a life changing product but it gets the job done,the pump makes dispensing really easy and for under £10.00 it’s a great high street offering.